In general, there are a few key principles to understanding monitoring and evaluation and establishing a good plan. Rotarian Tristam J. stresses that evaluation is never meant to judge people or their actions. It is simply a tool that can help everyone stay on track, shift if necessary to alternative strategies, modify outcomes and redesign resource commitments. Rotarian Terry Z. says good communication with the group being impacted by the project is key to successful monitoring and evaluation. 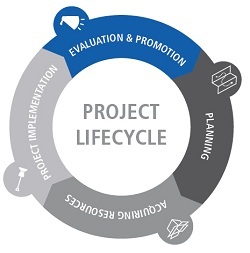 Don’t wait to develop your monitoring and evaluation plan until the end of the project. Start thinking about measurement when conducting the needs assessment. What will success look like and how you will know if you have achieved the results intended as part of the project? You can then be sure that as you design the project, the proper components are in place to track the results over time and determine if you are making progress or whether adjustments to the project are necessary. When designing your plan, remember that less is more, particularly if you are just starting out in monitoring and evaluation. Monitoring is simply active involvement in the project’s implementation, making sure that the objectives are being met on the established schedule; evaluation is checking your success against those objectives. Stick to basic, easy to count measures, such as total number of direct beneficiaries, number of teachers trained, or number of wells dug to track your projects. These tangible items are the easiest to track achievement on. Just make sure you do not double count! Make sure the measures track your progress against your main project objectives. A good monitoring and evaluation plan does not seek to track everything, but rather to highlight success in a few key areas – perhaps more importantly, the most successful projects and monitoring and evaluation plans keep a modest scope! Your proposed measures should tie directly with your project’s anticipated impact. For example, if you hosted training workshops with primary school teachers and provided new teaching materials for them to implement new teaching methods, it may be interesting to show that attendance increased as a result of your project, but if your goal was to train teachers and provide materials, it may not be necessary to track attendance for this specific project. Try to identify and track quality measures. Counting activities and participants is a good place to start, but does not necessarily show the quality of the project being implemented. Measures that track increased knowledge, increased capacity for work or income generation, or documented decreased incidence of water-borne diseases are examples of quality measures. A good monitoring and evaluation plan, particularly for a Rotary Foundation funded project, will include financial resources specifically dedicated to monitoring and evaluation. Budget to contract industry professionals that will help you monitor the project as you’re working on it and evaluate it once to assess whether your goals have been met. Rotary does not expect Rotarians to become experts in monitoring and evaluation, just as Rotary does not expect Rotarians to become experts in drilling wells for a water project. It’s perfectly acceptable – even encouraged – to find local experts to assist you in collecting this information. In many cases, this may be a cooperating organization that you are partnering with. As long as you have ready access to the information and are actively part of the planning and implementation process, use the experts as needed! Share your story. Promote your success on Rotary Showcase, through local media channels, and online via blogs, websites, and social media. Use your story as a marketing tool for your service project. If people see and hear your story and are inspired by the impact you’ve made, they’ll be more likely to support your future service projects. Remember: your images and words are your club’s personal brand. Thank you for your message. This post will be published in Spanish on http://www.rotaryservicees.wordpress.com (the Spanish language version of this blog) next week.